My purpose here today is to ask for your help to protect an unrepresented minority. Specifically, those who have been priced out of the ACA marketplace and do not qualify for federal health insurance subsidies to lower their health insurance premiums. According to CMS – Centers for Medicare & Medicaid Services – numbers released yesterday, during last year’s ACA open enrollment period, 360,168 individual applications were processed in Illinois via our State/Federal partnership health insurance exchange. 282,491 of those applications were eligible for a Federal health insurance subsidy to help lower their premiums. That means 77,677 applications did not receive financial assistance and were forced to pay the full price for health insurance. In addition to those who applied via our exchange and were denied a federal subsidy, there were an additional 127,459 applicants who applied OFF our exchange directly with insurance companies because they already knew they were not eligible for financial assistance. That equates to 205,136 applicants who were forced to pay the full premium for individual health insurance. A premium that has more than doubled since 2014. The most important aspect of the ACA we can all agree on, is that the law was intended to provide some form of health insurance coverage to everyone, whether they could afford it or not. That’s why subsidies were written into the law. Unfortunately, for the 205,000 consumers who do not qualify for federal health insurance subsidies in Illinois that is no longer the case. For them, ACA-qualified coverage has become anything but ‘affordable’. 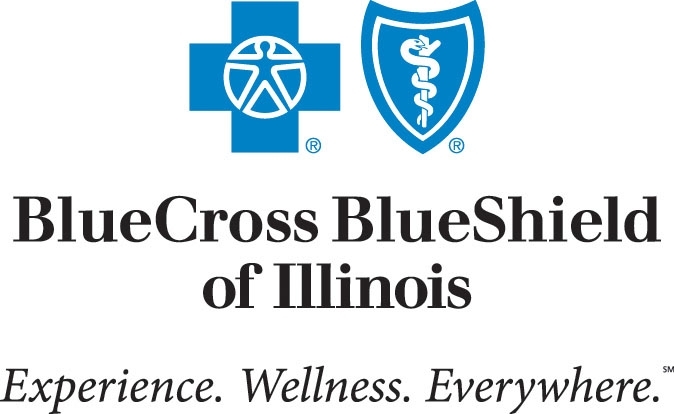 The full price for a family of four for the cheapest Bronze PPO plan with Blue Cross Blue Shield of Illinois with a $15,800 out of pocket expense in Chicago is now $1,835 per month which equates to $22,000 annually. This is why so many who do not qualify for health insurance subsidies have been priced out of the ACA marketplace and are now seeking other options that are not safe now but can be made much safer by this legislative body. Those non safe products are known as Non ACA-qualified Short Term policies. They are not safe now because this legislative body restricted the amount of time one can own these policies from 12 months to 6 months of maximum policy ownership and I am asking you to restore the amount of time one can own a non ACA-qualified policy back to 12 months so that they are once again safe to purchase. It’s not that applicant’s who don’t qualify for federal health insurance subsidies don’t want ACA coverage. They’d be crazy not to want it. It is the most comprehensive health insurance coverage ever sold in the United States and there is no underwriting. Everyone gets coverage regardless of preexisting conditions. That is a VERY good thing. However, the recent actions taken by this legislative body are not only placing those priced out of the ACA marketplace at great peril but you are threatening the structural integrity of our health insurance exchange and the ACA overall. It may sound strange that I’m asking you to fortify non-ACA policies in order to protect the ACA but there is sound reasoning and supporting data behind this request. First and foremost, is the fact that consumers who purchase Short Term policies in Illinois are now placed at great risk if at the end of the 6 month policy period they are then laying in a hospital bed with a life threatening condition when their coverage ends. Even if that individual could qualify for another 6 month Short Term policy, that life threatening condition would be considered preexisting which means it would not be covered under their next 6 month Short Term policy. This would leave them uninsured entirely until the next annual ACA open enrollment period begins again in November in which case their coverage cannot begin until the 1st of the following year. This is why it is essential to have 12 month Short Term policies available in Illinois so that consumers stay consistently insured between ACA open enrollment periods. This way when the Short Term policy ends at the end of 12 months, it ends safely the following year during the ACA open enrollment period. If a family member develops a new medical condition they can obtain coverage for that new condition via the ACA exchanges. Secondly, let’s identify the fiscal implications. Companies who provide health insurance, both ACA-qualified AND non ACA-qualified Short Term health insurance are required to contribute hundreds of billions of dollars in order to help stabilize the ACA health insurance marketplace and ensure those who are eligible for subsidies continue to receive them. Section 1910 of the Affordable Care Act outlines the Health Insurance Tax which has resulted in $58 billion dollars being collected from health insurance companies since 2014. $14.3 billion of that was collected last year alone. That money is then used to stabilize the health insurance marketplace by ensuring that those who do qualify for federal health insurance subsidies continue to receive them. The health insurance tax is an essential risk mitigation system build into the ACA and without it premiums would be much higher and subsidies would be much smaller and available to fewer people. The pertinent section of Section 1910 of the ACA was outlined in the final rules posted in the Federal Register on November 29, 2013. In those final rules the following paragraph outlines which type of health insurers are subject to this tax and I quote: “Section 9010(a) imposes an annual fee, beginning in 2014, on each covered entity engaged in the business of providing health insurance. Section 9010(c) provides that a covered entity is any entity that provides health insurance for any United States health risk during each year.” The important point to note here is that the tax is levied only on health insurance plans. By restricting Short Term policies to 6 months this legislative body has unknowingly left these consumers with no other option but to enroll in similarly low priced “Christian Sharing Plans” which do not end abruptly but are also not insurance and as such are not required to contribute anything under the aforementioned health insurance tax. By shifting those dollars that would normally be spent on Short Term health insurance to Sharing Plans which are not insurance, you are undermining the structural integrity of the ACA and so is every other state legislative body that has restricted this type of health insurance to 6 months or less. As ACA-qualified policies continue to increase in price this trend is going to continue unless you take action to stop it. Lastly, let me address the often repeated fallacy that Short Term health insurance policies are “junk” policies or that they are “skinny plans”. Whilst it is true that Short Term health insurance plans do not cover preexisting conditions, those that are offered by companies like United Healthcare do provide coverage for the vast majority of illnesses and injuries such as Cancer, Stroke, Heart Attack, Organ Transplants, Mental Nervous Disorders, Newborn care, Diabetes, Autism, Durable Medical Equipment, Home Health Care, inpatient and outpatient diagnostic testing as well as Nuclear Medicine, MRI and CT including a routine colonoscopy. They also provide coverage for inpatient and outpatient surgery, anesthesia as well as outpatient prescription drugs. They even provide first dollar coverage with no deductible required for outpatient doctor visits, urgent care visits and state mandated routine preventive care such as Mammograms, Cancer screenings and Contraceptives. That does not sound like a “junk plan” to me. Neither does it sound like a “skinny plan”. These policies also provide $2,000,000 in coverage annually for each insured member. So no, they do not provide all the protections that ACA-qualified policies do but they do provide very good coverage and for half the price. THIS makes them very attractive to those who do not qualify for health insurance subsidies. Equally important to know is that both United Healthcare and National General which are the two largest Short Term health insurance policy providers in Illinois provide a national PPO network with their policies which includes in network access to Northwestern Memorial hospital, University of Chicago medical center, Rush university medical center and the Lurie Children’s hospital. None of those hospitals accept ANY individual ACA-qualified health insurance policy, not even those offered by Blue Cross Blue Shield of Illinois. No matter how much you pay for an ACA-qualified Individual policy in Illinois you cannot take your sick child to the premier Children’s hospital in the Midwest which is Lurie Children’s hospital. With non ACA-qualified Short Term policies you can walk right in the door at all four of those hospitals and hospitals around the nation. In closing, because so many are now abandoning the ACA exchanges and can no longer safely purchase Short Term health insurance due to the aforementioned 6 month restriction and instead are now shifting those dollars to “Christian Sharing Plans” which are not insurance and as such do not contribute anything under the aforementioned health insurance tax. And because those who participate in “Christian Sharing Plans” have no policy, no contract and no regulatory recourse when Sharing Plans stop paying claims as they have done repeatedly. I am asking for this regulatory body to restore non ACA-qualified Short Term health insurance plans to 12 months in order to ensure that those who have been priced out of the ACA marketplace remain safely insured with actual health insurance without risk of running out of coverage in the middle of the year which can lead to disastrous consequences. I thank you for your valuable time today. I will take questions if time allows.